In a significant escalation of the criminal case against Michael Avenatti, the brash lawyer known for representing Stormy Daniels in lawsuits against President Trump, federal prosecutors in California announced on Thursday that he had been indicted on three dozen counts. Mr. Avenatti was indicted by a federal grand jury in Santa Ana, Calif., on the new charges, which included tax fraud and bankruptcy fraud, adding to charges of wire fraud, bank fraud and extortion that were filed against him last month in California and New York. If convicted of all the crimes of which he has been accused in California alone, prosecutors said, he would face a maximum of 333 years in prison, and an additional two-year mandatory sentence on an identity theft charge. “This case is based on the facts and the documents,” Mr. Hanna said Thursday, noting that the charges stemmed from an inquiry by the I.R.S.’s criminal investigation division that dated to September 2016, before Mr. Trump was elected and well before Mr. Avenatti began representing Ms. Daniels. 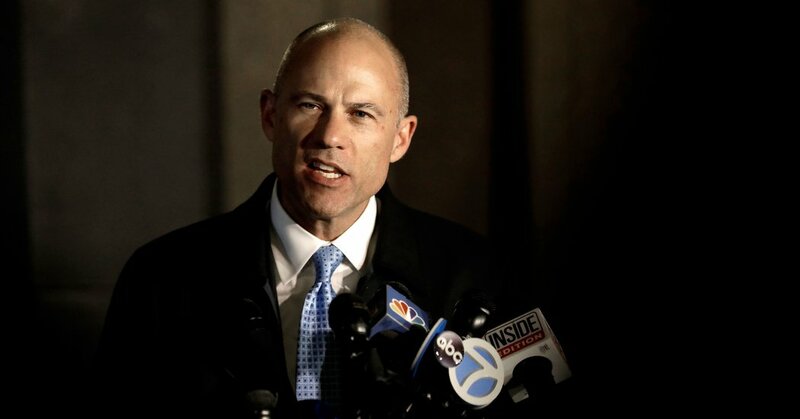 Among the five clients Mr. Avenatti is accused of defrauding across four matters, prosecutors said, one was a paraplegic man, Geoffrey Ernest Johnson, who won a $4 million settlement from Los Angeles County four years ago but had received only “a fraction of the money” through periodic payments that never exceeded $1,900. Mr. Avenatti lied to clients about having received a total of more than $12 million in settlement payments, a share of which he would have been entitled to keep for his work, prosecutors said. He told clients the money had not yet arrived or, in one case, that he had already forwarded the funds to the client. He paid out small portions of what was owed to the clients, calling those payments “advances on the settlement,” prosecutors said. He also dodged taxes, some that he owed himself and others that were owed by his firm, prosecutors said. They alleged that Mr. Avenatti had lied to an I.R.S. revenue officer and had taken steps to prevent the government from collecting on tax liens and levies since 2013. Though from 2015 to 2017 he withheld taxes from the paychecks of employees at the coffee company he owned — Global Baristas, which ran Tully’s coffee stores — Mr. Avenatti failed to pay more than $3 million in payroll taxes to the government, prosecutors said. They accused him of trying to obstruct the government’s efforts to collect nearly $5 million in unpaid payroll taxes and penalties by routing coffee-company money to different bank accounts, including one associated with a car-racing company he owned. At the time of Thursday’s announcement, Mr. Avenatti was out on $300,000 bail after having been arrested late last month in New York, where he was accused of demanding millions from Nike’s lawyers while threatening to reveal what he has described as improper payments to college basketball recruits by the sportswear giant. He is due to answer to the new charges against him on April 29 in federal court in Santa Ana. Mr. Avenatti, 48, was a fixture on cable news as an antagonist to Mr. Trump as Ms. Daniels’s case played out. He and Ms. Daniels parted ways this year, and his firm again filed for bankruptcy last month. Even since he was first charged last month, he has turned to the news media to mount his defense. He declined to explain what exactly he meant by that.